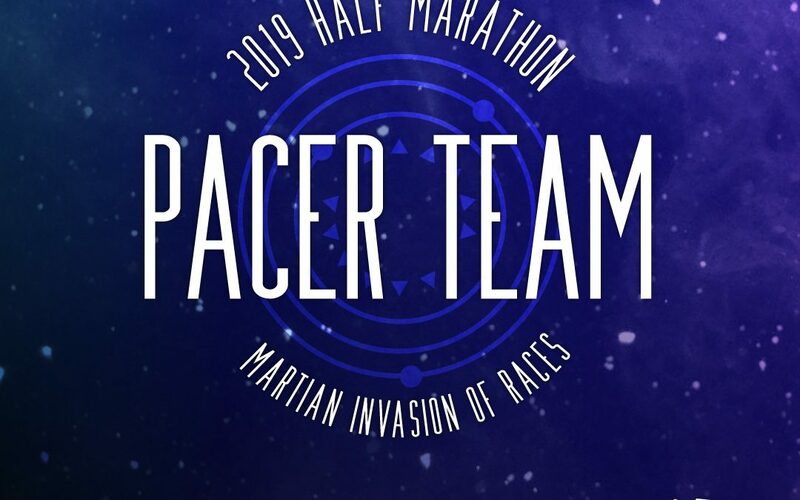 Currently, my training is focused on my next event; Martian Invasion of Races 1/2 Marathon. The big day is April 13th in Dearborn, Michigan. The most thrilling part is that for the 5th time I will be running a 1/2 marathon with a pace group. Why this event? For me, I do well with big goals to keep me on track with my training. This one sits perfectly on the calendar to force winter runs. 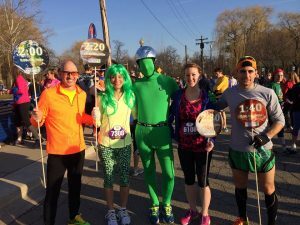 Other reasons to run this race: the course is stellar, the earthlings are fun to run with, and the costumes are out of this world. A huge benefit of running with a pace group is that pacers will run even splits. This will optimize performance for distance runs and help you run a better race overall. To make this work for you it is crucial that you select wisely. For instance, if you choose a pace group that is too fast, you may burn out too soon in the race and risk not finishing. One pitfall for many runners is going out too fast at the start of the race and not leaving enough to finish. Even pacers get anxious at the start of a race, but their goal is to run every individual mile at the same pace. This means mile 1 will be restricted to ensure even splits throughout. No early burnout! Distance running is a mental challenge. By running with a group the conversation will help keep you focused and help get you out of your own head. For example, you know that saying “time flies when you’re having fun”. Join in the chatter. Find out where everyone is from, what they are going to eat after the race, and what their next events are. You’ll be crossing the finish line wondering where the time went. Where else can you get a personal coach absolutely free? You won’t need to be constantly checking your Garmin because your pacer will do it for you. Need a bit of encouragement? That’s what they are there for. Is there a pothole to avoid, a hill to surmount, an aid station coming up. Running your 1/2 marathon with a pace group you will know what to expect and receive tips and inspiration to get you across the finish line.